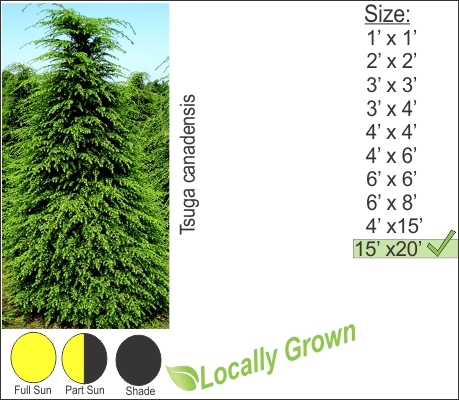 Canadian Hemlock is a large growing evergreen that can be planted in sun or shaded conditions. This native tree is found throughout the Hudson Valley. The soft needles of the Hemlock have an attractive weeping habit. You will need to protect this tree from deer grazing. If you do have high deer populations, Norway Spruce or Green Giant Arborvitae would be the best choice for your location.